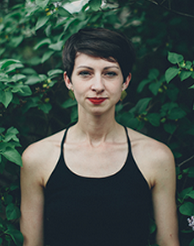 Liz Ivkovich has received a full, Graduate Research Fellowship from the University of Utah to continue her study of Ananya Dance Theatre’s work during 2015-2016. Ivkovich is a teaching assistant at the University of Utah’s Department of Modern Dance MFA Program. The focus of her academic research is Dance and Environmental Justice. She previously studied with ADT during the company’s development of “Mohona: Estuaries of Desire” in 2013. Ivkovich holds a Bachelor of Science degree from Aquinas College in Grand Rapids, Michigan, with a double major in Sustainable Business and International Studies. Her fellowship will also allow her to continue research with dance artist A’Keitha Carey.